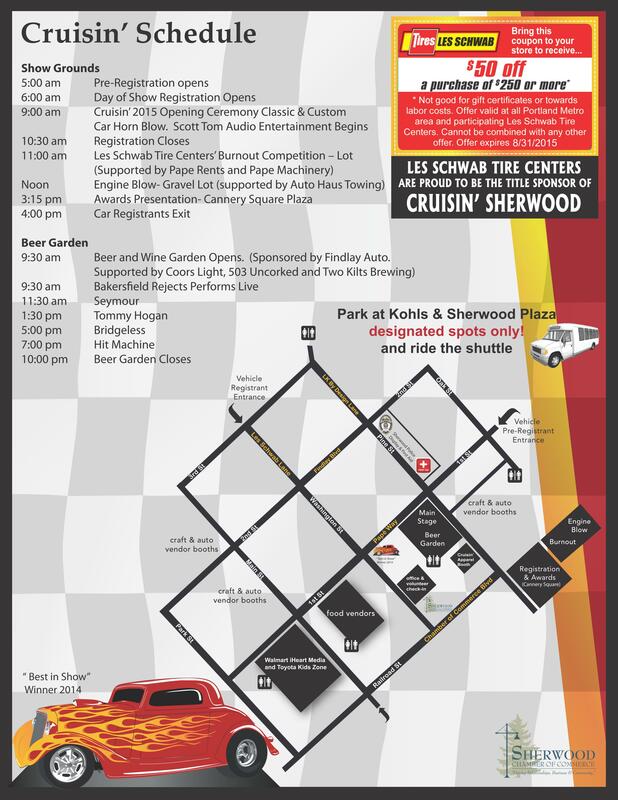 We don’t want you to get lost… The Les Schwab Cruisin’ Sherwood location will again be in Old Town Sherwood…Sherwood is a city of 20,000 in Washington County, Oregon. Oregon is a state between Washington State and California on the West Coast in the USA! The United States of America is a country on the North American Continent on Planet Earth! Hope to see you at Cruisin’!